How did you become involved in the Melbourne Business Practicum? Our former national director initiated our participation in the MBP. I oversaw the MBP student team during their two-week period at AASBand AUASB. What have the benefits of participating in the subject been, and did they correlate with your expectations? The students brought great enthusiasm to the project. Briefing them and overseeing their work improved my understanding of the Stakeholder Information Management project and raised its profile internally. What project did the team complete? 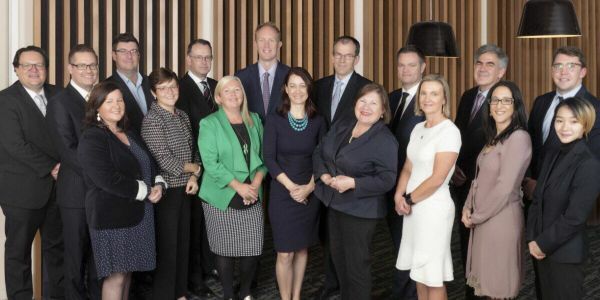 They developed a Stakeholder Information Management Plan to be shared across both the Australian Accounting Standards Board and the Auditing and Assurance Standards Board. How would you describe the students who completed the Melbourne Business Practicum? The students were enthusiastic, meticulous and creative thinkers. It was great to see their confidence develop as their understanding of the project improved. They interacted well with staff involved in the project, listened and weren’t afraid to ask lots of questions. Their final presentation was well-delivered and accessible. Anna Wu is currently undertaking a graduate internship at the AUASB following the completion of her Melbourne Business Practicum (MBP) in July 2017. Read about Anna’s experience with the MBP here. Find out more about the MBP here.